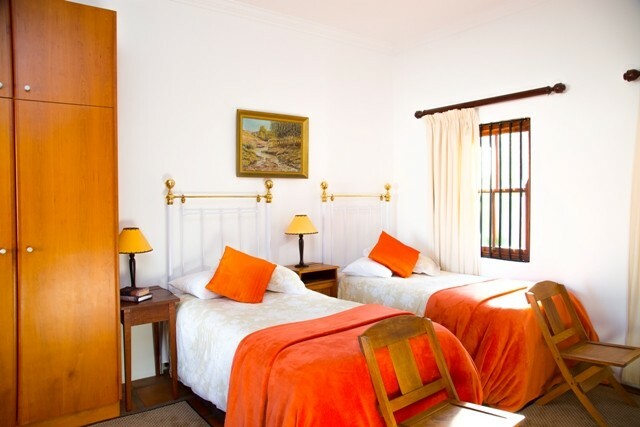 Welcome to Fynbos Villa Guest House, situated in the heart of historic Stellenbosch, in the Western Cape, South Africa. 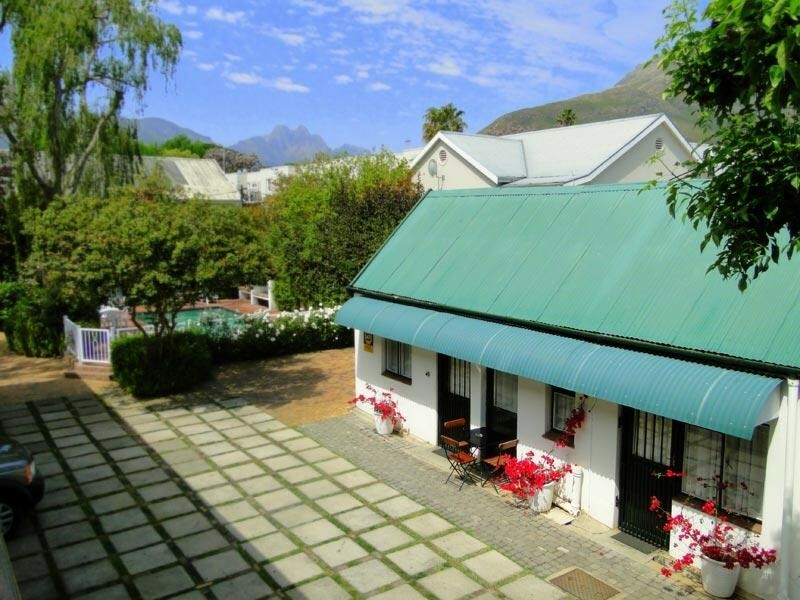 Three minute walk under Oaks to Historic Town, Stellenbosch University, First River, Coetzenburg Sports Grounds / Gymnasium, Conservatoire as well as various coffee shops and restaurants. 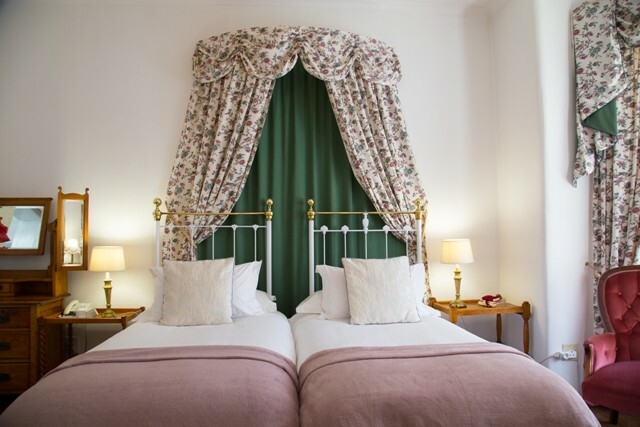 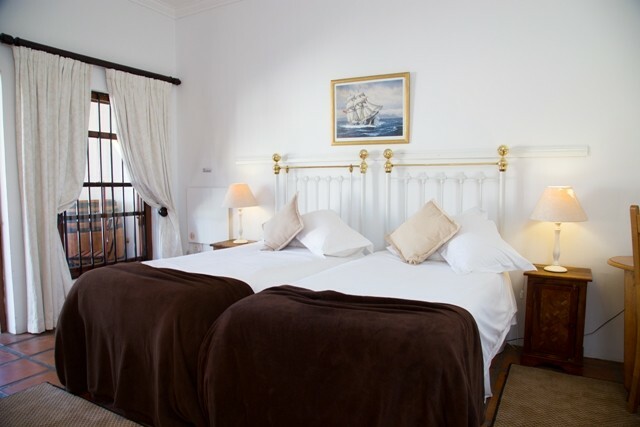 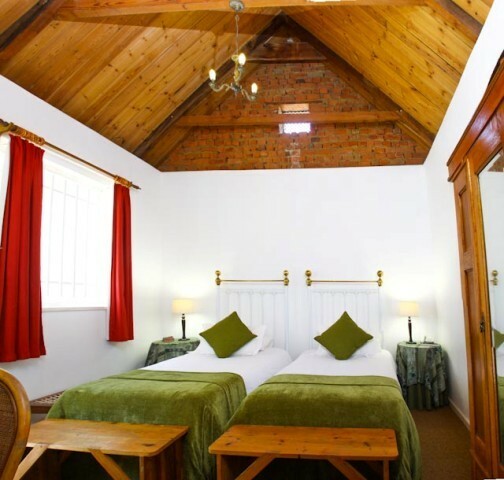 Spacious, elegant en-suite rooms with twin or double bed facilities. 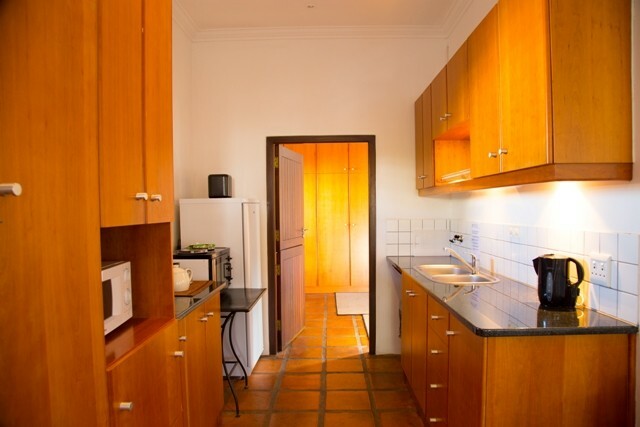 Fynbos also has luxury family apartments, modern office facilities and free Wi-Fi internet. 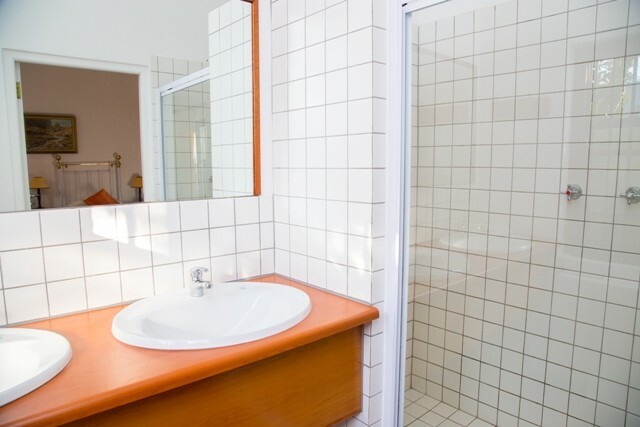 Feel at ease with free secure undercover parking area on premises. Fynbos Villa Guest House is a lovely 14 room Victorian style Guest House (National Monument), equipped with modern facilities, where we offer our guests comfort and tranquility whilst only a 3 minute stroll to town! 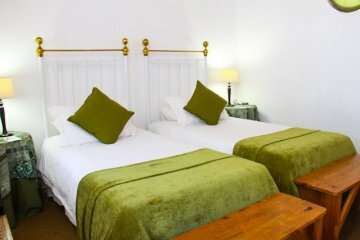 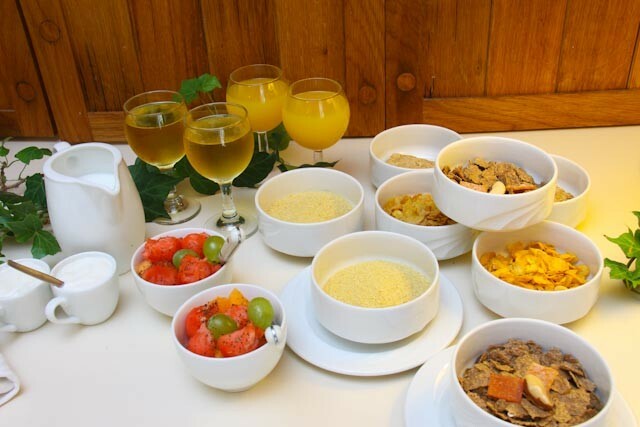 We can comfortably accommodate up to 30 guests at our establishment. 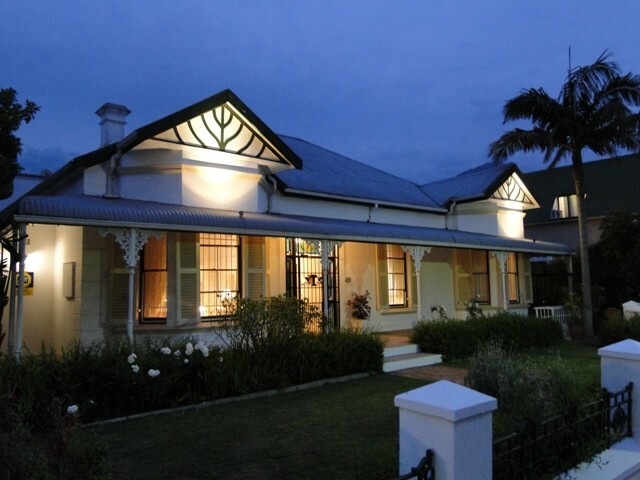 The front view of Fynbos Villa Guest House might give one the impression of a typical Victorian Manor House, but a surprise awaits you on entering this exquisite Guest House! 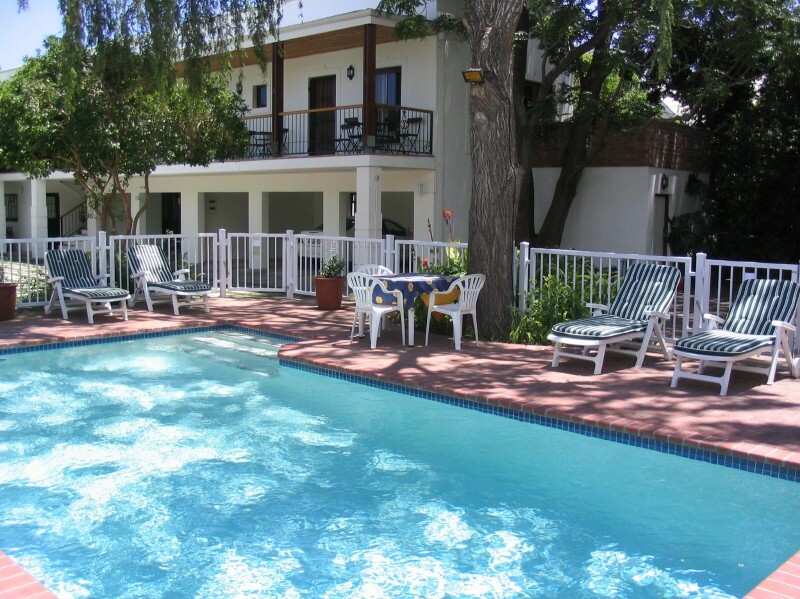 The space, sparkling solar heated swimming pool, lush gardens, vivid birdlife and spectacular mountain views overwhelm you. 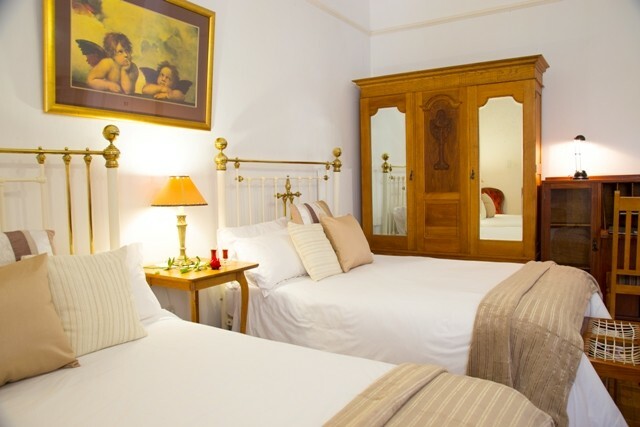 This is when you realize that Fynbos Villa Guest House combines the splendour of bygone days with modern comforts.